iStock:Sveta615For many years, people have used ground and whole cloves for traditional Indian medicine and cooking. For cooking, this popular spice is often found in stews, soups, sauces, meat marinades, and rice dishes. From a health perspective, it is often used for oral health, obesity, diabetes, and cancer.You may ask, “What spice can I substitute for cloves?” Or vice versa. 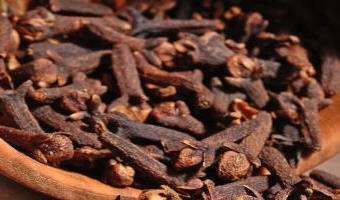 Although nothing quite compares to cloves, if you are all out of the spice or have a mild allergy and want to achieve comparable flavors and similar health benefits, you can use a substitute for cloves.Cloves are an aromatic flower bud from the clove tree (Syzygium aromaticum) in the myrtle, or Myrtaceae, family. They originated in Indonesia, and are also harvested in Sri Lanka, Pakistan, India, Madagascar, Bangladesh, and Tanzania.Regardless of why you need a cloves substitute, it is important to understand your options. You can find a potential substitute for cloves in allspice, nutmeg, cardamom, … [Read more...] about What Spices are a Substitute for Cloves?